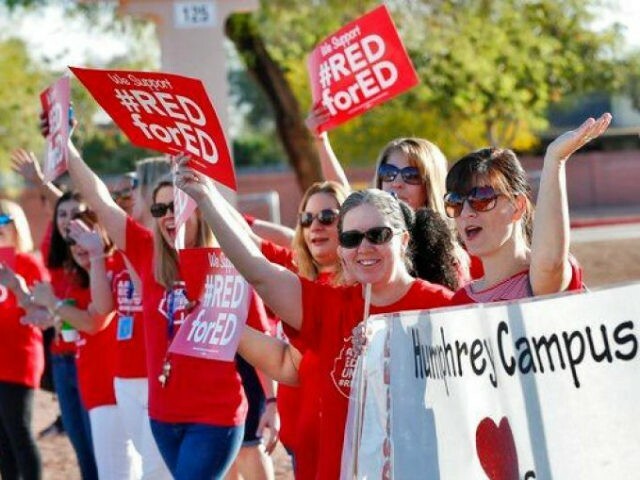 According to the education media outlet, teachers were spurred to run for public office as a result of the teacher walkouts that protested teacher pay and funding for public schools. In April, Karvelis gave an interview – while sitting in his public school classroom with students present – about #RedForEd to Radio Sputnik, which the Russian government owns and operates. During the interview, listeners could hear the school bells — which are noted by the host — and Karvelis himself admitted students were present in his classroom.